Google did a whole fancy hush-hush thing about a new phone the company is birthing that is totes not a Nexus. It rolled out a cryptic website the other week with little information except for that the release date would be October 4. 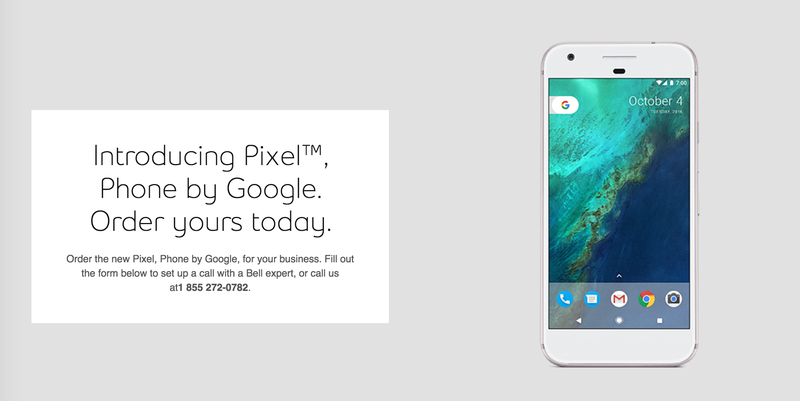 But the world is wild and unpredictable, and the Google’s new phone, the Pixel, got LEAKED by the Canadian phone company Bell, ostensibly by accident, when it posted a preorder page for the phone earlier this evening. The phone company has taken down the webpage, but everything you post online is forever, so the images remain. Take a peek at the rest of the Pixel pics at 9to5 Google, a site working overtime considering it’s after 8pm and they are still blogging about Google.